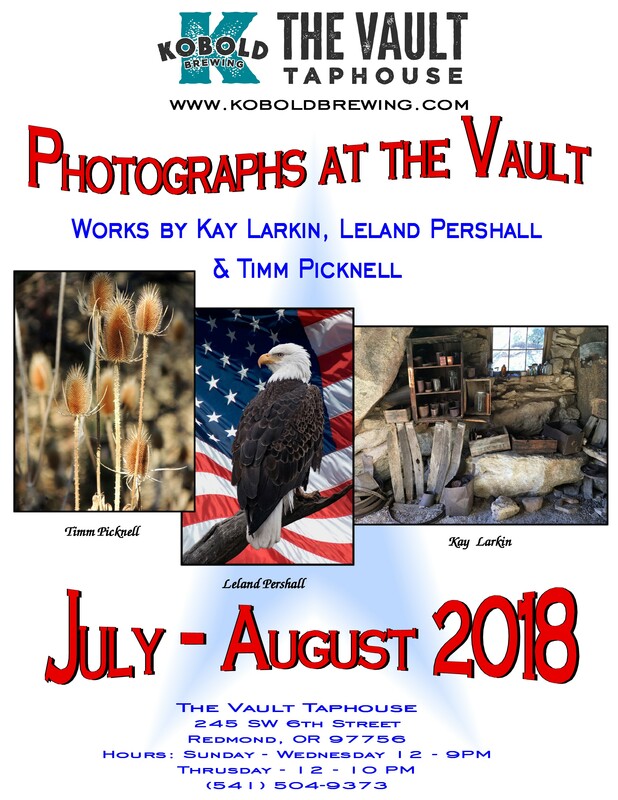 The Vault Taphouse/Kobold Brewing is pleased to continue our commitment to exhibiting photography in our Taphouse. For July and August 2018, we are pleased to feature works by well-known local photographers, Kay Larkin, Leland Pershall and Timm Picknell. Come to the Taphouse during the month of July to see their beautiful photographs. The three photographers featured for the months of July and August represent some of the best of Central Oregon’s photographic community. Each photographer brings his or her own distinctive vision to Kobold Brewing. Kay Larkin enjoys making panoramic images because of the way they draw the viewer into the scene and convey a sense of space. She also likes to explore relationships of subjects and their shadows as well as other optical phenomena. 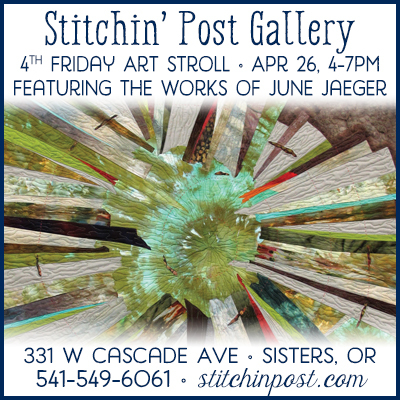 Kay works predominately near her home in Central Oregon because she finds that the familiarity provides a deeper connection that expresses itself in her work. Leland Pershall a retired teacher who has loved photography since his college years. Basically self- taught, Leland strives to capture “a moment in time” with each photograph. Many of his works depict singular instances that can be experienced once and never again in exactly in the same way. Timm Picknell is also a self-taught photographer who began taking photographs over forty years ago. Retired from the logging industry, Timm was always surrounded by nature. He started taking photos to share his daily experiences in the woods with his family and friends. Photographs of sunsets, sunrises, waterfalls, mountains and animals in their natural surroundings followed. The Vault is a family-friendly Taphouse in downtown Redmond. Visit our Taphouse and watch your favorite sports team on TV or play cards with friends. Sit on the outdoor patio and check out Redmond’s downtown scene. Enjoy street tacos from Westside Taco Co. Kobold Brewing’s line up of beers will be on tap or you can sip on another one of your favorite ales, ciders or wine. The Vault Taphouse/Kobold Brewing is located at 245 SW 6th Street in Redmond. Our hours of operation are: Sunday – Wednesday: 12:00 – 9:00 PM and Thursday – Saturday: 12:00 – 10:00 PM. For more information about us, visit our website at: www.koboldbrewing.com. 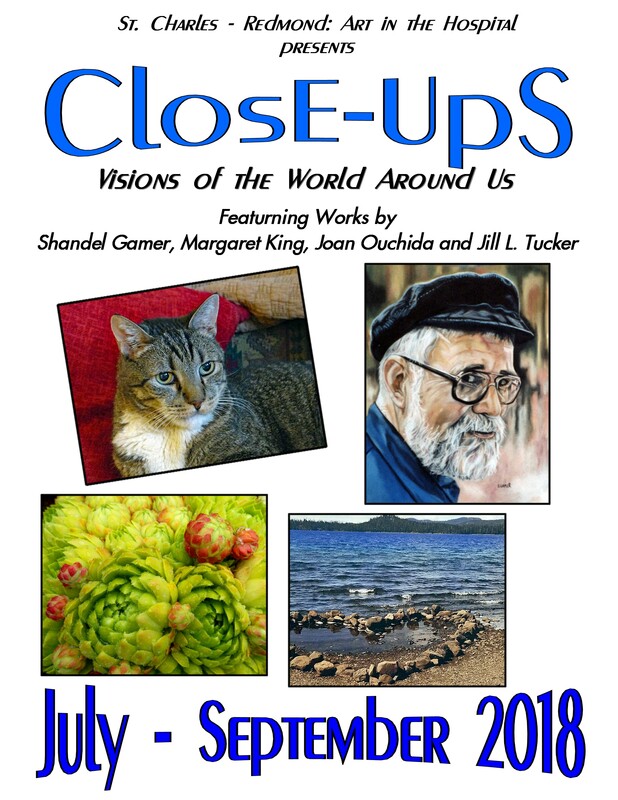 For additional information about the exhibiting photographers or for additional images, contact: artinfo@bendbroadband.com. Dance to LIVE music and enjoy the great food and full bar at this bend favorite live music venue. 8:30pm until midnight, $3 Cover.